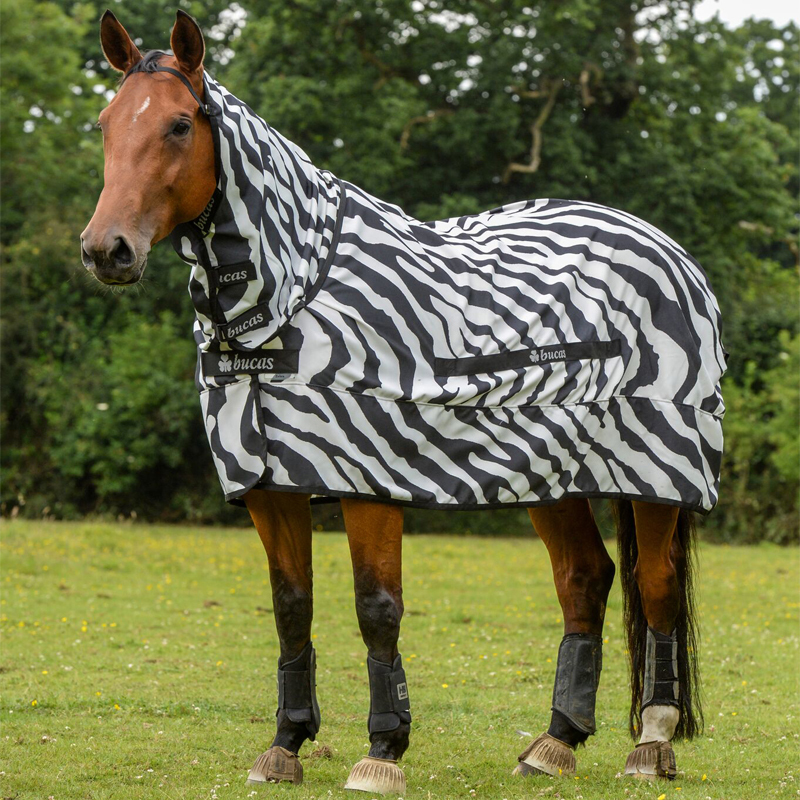 The Sweet Itch Zebra Rug is made from a specially developed fabric that blocks entry from even the smallest of insects. This is a tougher and tighter knitted fabric than the standard Buzz-Off fly rug. Zebra stripes have been proven to confuse the flies. This has been scientifically proven. The overall effect should reduce the number of flies which land on and around the rug. We recommend that all Bucas rugs are ordered in a size larger than you would normally choose.